DAA artists have been hard at work in the art room creating beautiful and meaningful works of art. Students model expeditionary learning skills to reach their full potential, during each module students are encouraged to be reflective and thoughtful about their work through the peer review process and the creation of multiple drafts. I would like to shine a light on the steps our students take to achieve such high quality work! The examples you see are from our third grade crew’s study of adaptations and the world of frogs. The first step in our process is research! 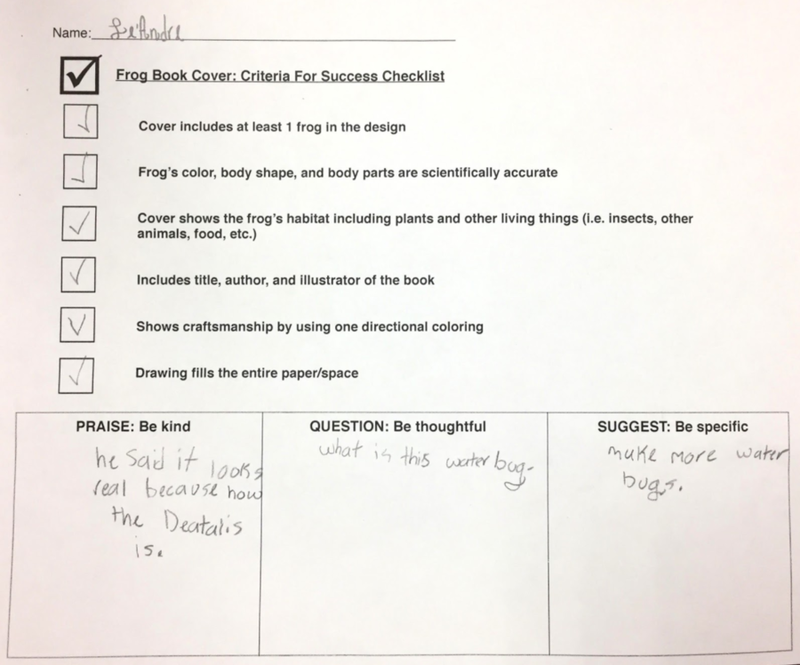 For this assignment 3rd graders were asked to observe, investigate, and wonder about frogs. I ask students to make scientific observations and sketch the frog, unassisted. This is a great way for me to gauge their skills and abilities. Then step by step we learn how to draw a frog, practicing to build our knowledge of the frog’s unique body shape and features and confidence in our drawing ability. After learning how to draw frogs, we began research on the frog life cycle and habitat. We did this by creating an interactive life cycle wheel that the third graders will use as a tool to teach younger students. All of this knowledge and practice serves as a base for our final products that we will plan to use as a celebration of our learning from this EL module. 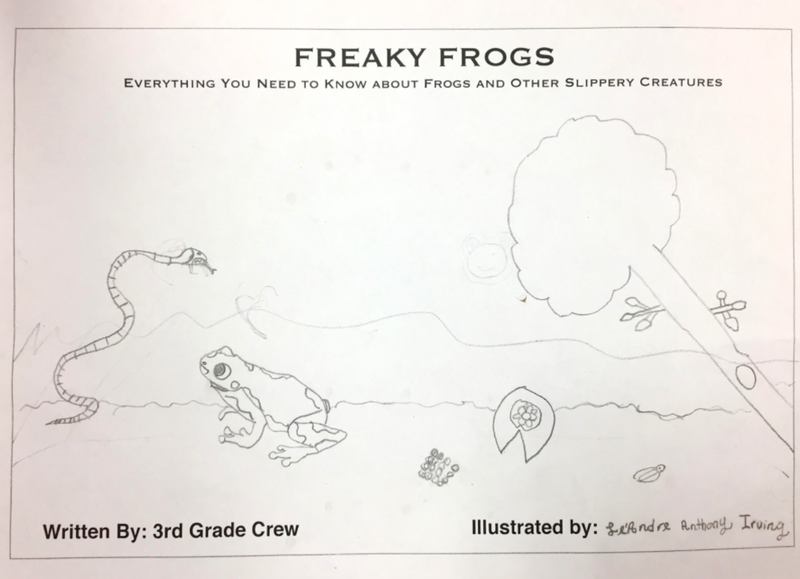 As part of our final product initiative, students learned about expert illustrator Jerry Pinkney and his artistic process, to help prepare for the creation of their own book cover about Freaky Frogs! Students had example images of frogs, their habitats and information about the other amphibians, plants, and insects that live there. Planning Worksheet: Students use their research to develop an illustration that captures their learning. First Draft: Students receive teacher feedback and start the first draft of their book cover. Criteria for Success Checklist & Peer Review: Our checklist is used so students can know the expectations of high quality work. They go through this process with a partner, giving and receiving feedback on their work. For this peer review we used the praise, question and suggest protocol and each student received feedback to consider how to improve before beginning their final draft. Final Draft: The final draft of our book cover for our end of module celebration of learning is where all the students knowledge, drawing skills and practice come together. The final draft of our book cover illustrates our students are active participants of receiving feedback and using it to refine and improve their work. Habits of Character // Contest!